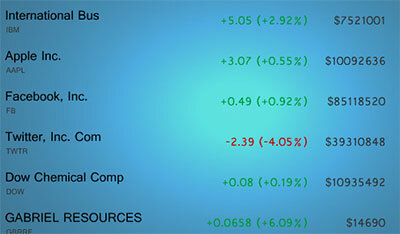 The Stock List Widget displays a list of stock data. This content app is great to display in a bank, financial corporation, or even in an educational institution. This content app can be cropped to fit aspect ratio 16:9 and 4:3; this feed can be customized to fit any zone size except for the header and footer.